Israel's ambassador to Egypt has quit Cairo six months after the embassy was attacked by paid rioters, expelled by Islamists over Gaza. Israel's ambassador to Egypt has quit Cairo, six months after the embassy was attacked by paid rioters and ransacked in the Egyptian capital. 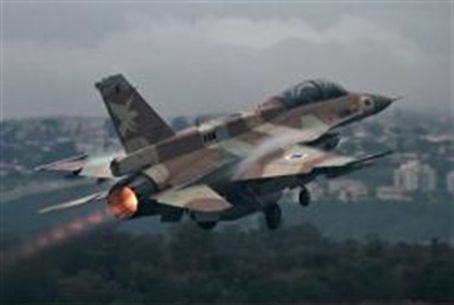 Officials at the Egyptian airport said Wednesday that two IDF aircraft departed Cairo before dawn, carrying all of the equipment and documents that had been in the embassy. During the September 2011 attack, Egyptian leaders did not respond to Israeli requests for assistance until the United States stepped in with a personal phone call from President Barack Obama, pointedly asking its military to intervene. Even so, Israeli staff members barely escaped with their lives, and the embassy has since been unable to secure new quarters. Last week the Egyptian parliament,currently controlled by the Muslim Brotherhood, demanded Israel's envoy be expelled in response to the IDF's defense of southern Israel against rocket attacks from Gaza. According to the report, Israeli Ambassador Yaacov Amitai and his staff have also left the country. Israel's Foreign Ministry could not be reached for comment, and attempts by Arutz Sheva to reach a spokesperson from the Prime Minister's Office were met with failure as well. Amitai had just taken office in February; his predecessor, Yitzchak Levnon, was forced to flee the country after demonstrators stormed the embassy. The attack on the embassy was ignited by the deaths of six Egyptian security personnel who were caught in the crossfire between IDF soldiers and Gaza terrorists during an attack on Israel along the border with Egypt last August. The terrorists, operatives from the Popular Resistance Committees (PRC), killed eight Israelis and also wounded numerous others in the attack on Highway 12, just north of Eilat. A gag order was lifted Wednesday, allowing publication of the news that a Hamas terrorist was arrested late last month in connection with a plot to carry out a similar attack in the same location, and to kidnap another IDF soldier as well.